4. 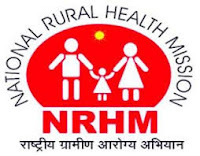 District Adolescent Health Officer (DAHO) (RKSK) - (1) Degree in AYUSH System of medicine from any University/Institution recognized by the Government of India. (2) Registered with Board of AYUSH in Haryana (3) Post qualification 2 years experience in working with health sector/programme/ project. Hindi/Sanskrit up to matric. 6. Psychiatric Nurse (DMHP) - B.Sc/GNM course from recognized institution by Government. (2) Registered with Haryana Nurses Registration Council. (3) Hindi / Sanskrit up to matric .